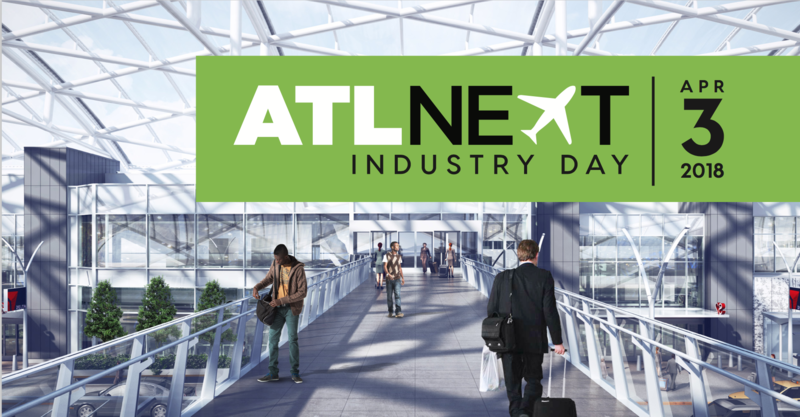 ATLNext Industry Day will be held Tuesday, April 3, to provide details on the multibillion-dollar capital improvement program at ATL. It will include an ATLNext overview, panel discussions, luncheon, interactive workshops, contracting opportunities and an expo/networking session. Registration/Check-In | 7:30 a.m. – 12 p.m.
Networking + Continental Breakfast | 7:30 – 8:30 a.m.
Kickoff – ATLNext Opening Remarks | 8:30 – 8:35 a.m.
Track I – Doing Business With Hartsfield-Jackson | 8:35 – 10 a.m.
Networking Break | 10 – 10:15 a.m.
Track II – “ATL Behind the Scenes” | 10:15 – 11:15 a.m.
Track III – ATLNext Project Updates | 11: 15 – 11:45 a.m. Luncheon | 12 – 2 p.m.
Networking Break | 2 – 2:30 p.m.
Business Matchmaking | 2:30 – 4:30 p.m.
Networking Expo | 2:30 – 5 p.m.